This website is owned and operated by TheCeilingFanCompany and is made available on the following terms and conditions. By using the website you accept these terms and conditions, which shall be interpreted according to the laws of England. 2.1 All orders placed by you and purchases of goods from us are on the basis of these Terms and Conditions and are subject to acceptance by us delivering the goods to you, at which point a legally binding contract is constituted between you and us. 2.3 The processing of your payment and acknowledgment of your order (including sending you an email confirming your order is being processed) does not constitute legal acceptance of your order. 4.1 TheCeilingFanCompany grants you a non-exclusive licence to access and use the content in this website for your personal purposes. You may not reproduce or distribute any part of the content for commercial purposes. 4.2 You acknowledge that the copyright, database rights and all other intellectual property rights comprised in or relating to this website and in the data it contains belongs to TheCeilingFanCompany. TheCeilingFanCompany may at any time make alterations to or withdraw this website or any part of it. This includes changes to prices, product specification and product range. Every effort is made to ensure the accuracy of the information provided on this website. However we cannot be held responsible for errors or incorrect details. 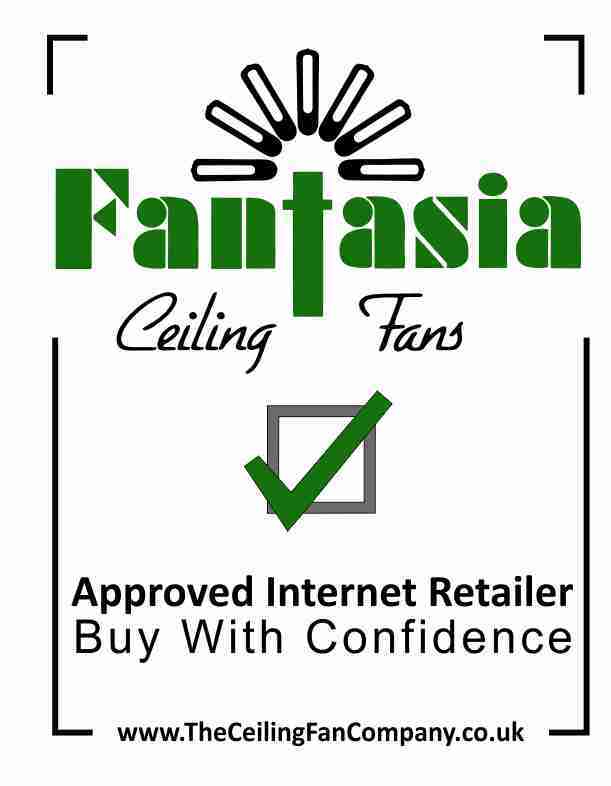 TheCeilingFanCompany excludes all warranties, express or implied relating to this website. This includes, but is not limited to, any implied warranty that the information it contains is accurate or up-to-date or is suitable for any particular purpose. TheCeilingFanCompany shall not be liable for any loss or damage suffered as the result of the use of this website. We will use your contact details (your name, job title, telephone and fax number and your e-mail and postal addresses) to provide any services requested by you. These details will NOT be disclosed to third party businesses and advertisers. Aggregate statistical information regarding sales or website usage will not include personally identifying information.